Here's announcing the imminent arrival of a brand new website of the same name. Release Date is expected to be Sunday 18th March 2007, although there will be a limited access pre-release on Sunday 11th March. 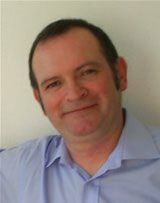 Hi, I'm Terry Didcott and I'm the author and creator of TheHonestWay.com. The website will highlight honest ways to make a living online. There will be an extensive article section covering the many products, strategies, plans and pitfalls associated with setting up and running an honest online business. By honest, I mean an online business that is free of scams, rip-offs and underhand tricks to get people to part with their hard-earned money. An honest online business means selling useful products or ebooks for reasonable prices and delivering what you say you'll deliver! Too many websites abound that are simply put up with a bit of useless content in order to earn revenue from advertising. They don't offer anything to the browser in terms of real value but still try to push products and services that are second-rate and expensive just to try to scam the newcomers to the internet marketing scheme. The website sets out from the start to provide plenty of good, useful and free information about setting up an online business THE RIGHT WAY as well as promoting only those products that are useful to online entrepeneurs be they from anywhere in the scale from seasoned professionals right down to absolute beginners. There is something there for everyone, so starting Sunday March 11, you can get your first sneak preview of this fascinating new site and watch it grow over the week into a powerful tool for the online business person until its scheduled Go Live! date on Sunday March 18th 2007. CLICK HERE to go there. Hope to see you all there! THE HONEST WAY IS ALIVE AND WELL!! !